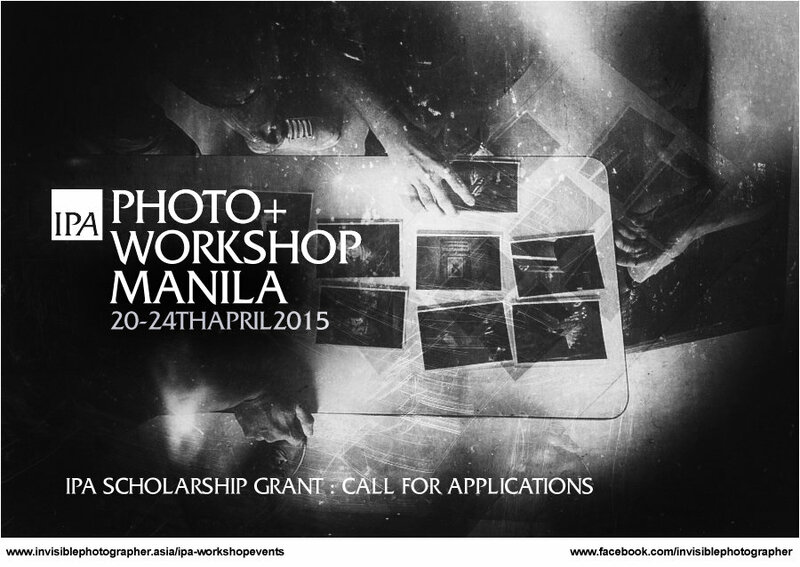 We are offering 1 Scholarship Grant for the IPA PHOTO+ Workshop MANILA which takes place 20th – 24th April 2015. APPLICATION DEADLINE: TUESDAY, 17TH MARCH 2015. IPA Photo+ Workshop is a 5-Day workshop program produced by Invisible Photographer Asia for serious, intermediate level photographers (professional or amateur) working on personal photo projects or a body of work. The awarded scholarship grant includes workshop fees only, and does not include travel, accommodation and other costs incurred by the awarded recipient. Application is open to Filipino photographers based in Philippines. The grant is awarded based on the merits of the application and potential of the applicant’s work, at the sole discretion of IPA. The aim of our Grant Programs is to provide photography learning and access to young, dedicated talents in Asia who may not otherwise have the means to participate in our workshops and programs. The IPA PhOTO+ Workshop Manila is also open for Public Registration. To apply for this Scholarship Grant, please follow the instructions below. Please submit a selection of 5-10 images of your project along with a synopsis or description. APPLICATION DEADLINE: TUESDAY, 17TH MARCH 2015.